The fact that you're here means you have been through or are currently in a similar situation. During pregnancy, your partner will change, as I'm sure most of you have already noticed by now. Coming home from work and opening that main door has become a game of potluck, you do not know what's on the other side of it. And I'm sure you have heard this from a lot of people but here it is- it's not her fault, it's the hormones! 'No pain, no gain.' 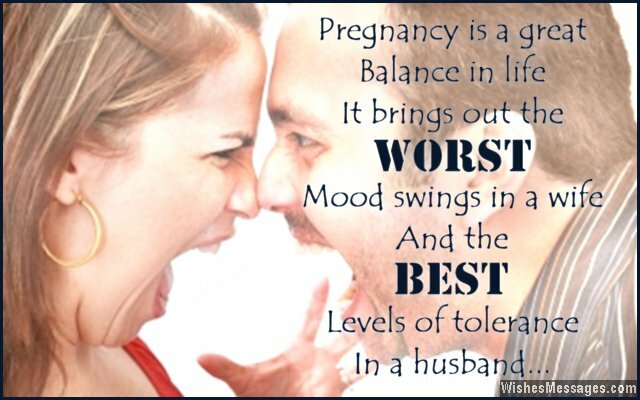 This age old saying is absolutely true for pregnancy. Whether delivery is normal or Cesarean some amount of pain will be experienced even with our newest medicines. She needs to undergo repeated blood tests, gynecological check ups, and has to get numerous vaccinations. As pregnancy advances she is bound to gain weight. Growing fetus, placenta, uterus and many other factors are responsible for this. During each doctor visit, first thing that will be asked of her 'Have you gained weight?' Healthy weight gain is necessary for a healthy pregnancy. Then again it comes with its own discomforts. Feeling of bloating, backache, swelling in legs, all are part of the package. Even after delivery, returning to pre-pregnancy weight may not be easily achievable for many women. Pregnancy MarksPregnancy is going to leave its tell tale signs behind. Things like loss of hair will recover, pigmentation on face will also disappear with time and treatment. But stretch marks is the main concern. With our newer skin treatments it is possible that they appear less and can be made to go away to a certain extent. But even for a short period, her appearance and way of dressing may change. Word to the HusbandInner beauty and qualities of a person matter most in journey with your life partner. Tell her that she is the most beautiful woman that has walked in to your life at every opportunity that you get. My Gynaec World has excellent team of Gynaecologists who are trained to support not just the pregnant woman but also the husband when she is going through this journey .